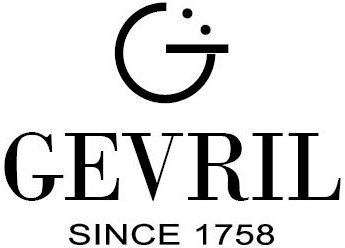 Samuel Friedman, owner and president of Gevril Group, sees new opportunities for their Eterna brand after its recent acquisition by International Volant Limited, a wholly owned subsidiary of China Haidian Holdings. According to Mr. Friedman, this acquisition will allow Eterna to grow and pursue new markets around the world, while still retaining the autonomy that has made the brand one of the watch industry’s technological leaders. Eterna is one of a small handful of watch manufacturers that still design and produce their own watch movements. Without Eterna, there wouldn’t be an ETA movement in the vast majority of today’s fine mechanical watches. ETA was originally a division of Eterna that manufactured Ebauche mechanisms for other watch companies. When ETA became an independent company, it took with it a treasure trove of technological innovations developed by Eterna. It is this technological and manufacturing expertise that China Haidian Holdings was looking for when it purchased Eterna AG. There are currently only four watch brands in China that have achieved international recognition and China Haidian Holdings owns two of them: Ebohr and Rossini. The Eterna acquisition is a win-win for everyone. The new parent company gets access to over 150 years of Eterna technological expertise, while Eterna gets access to new and better manufacturing methods, along with an opportunity to market their products to a much wider audience. Eterna continues to be one of very few companies in the world that still produces their own movements. This ongoing commitment to building the finest quality mechanical watches has resulted in the first genuine innovations in movement design in decades. 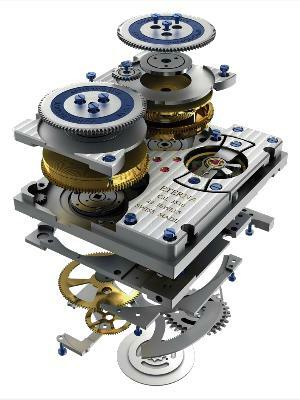 Eterna’s groundbreaking Calibre 2505 and Calibre 3510 movements were designed entirely in-house and feature the company’s revolutionary new Spherodrive. 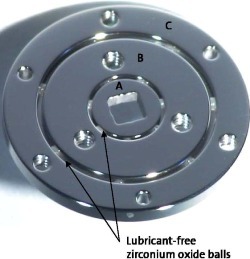 The Spherodrive is an entirely new type of mainspring barrel that uses ceramic ball bearings to virtually eliminate friction, greatly extending the reliability and long-term accuracy of the watch. In the future, Eterna will continue to set new standards for mechanical excellence. Happily, as a result of the company’s recent acquisition, a lot more people will be able to enjoy the pleasure of wearing an Eterna watch.